Interview: John C. Reilly, Star Of 'Wreck-It Ralph' Reilly voices a video-game character in the new animated film Wreck-It Ralph. Sick of playing the bad guy onscreen, his character escapes from his video game to explore other gaming worlds and what it means to be the "hero." Hitting theaters this week is an epic story of good and evil, love and loss, failure and redemption ... Pac-Man ghosts and Cy-Bugs? Wreck-It Ralph is about video games and the characters who live in them. Tired of being overshadowed by Fix-It Felix Jr., the "good guy" star of their game, Ralph (John C. Reilly) sets off on a quest to prove he's got what it takes to be a hero. Ralph is the villain who runs around smashing windows and destroying buildings. Fix-It Felix is the good guy with the golden hammer who cleans up Ralph's mess. And after 30 years as a video-game bad guy, Ralph is fed up with his job. 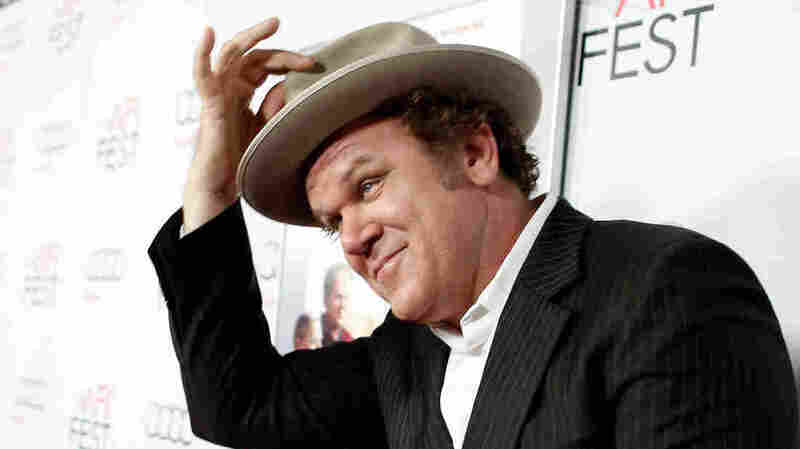 Actor John C. Reilly, who does Ralph's voice, says grown-up audiences may be attracted to what is, essentially, a mid-life crisis. "[That's] one of the chief things that drew me to it," he tells NPR's Rachel Martin. "He decides he wants a chance to be the good guy," to be liked and have friends, Reilly says. "So he does this forbidden thing, and he leaves his game, he goes out through the power cord into the other arcade games in the arcade, and he's really not prepared for what happens next." Ralph is a big guy — "9 feet tall, 643 pounds to be exact," Reilly laughs. "Sometimes you feel that way when you're my size, even if you're not quite 600 pounds yet." The animators actually started with a much more extreme vision for Ralph, a sort of orange-skinned, one-horned ape. But Reilly says he wanted a more realistic character, one that would be easy to inhabit and improvise actions for. "I thought about all of these friends of my dad's in Chicago — I come from a big Irish Catholic family, so all through my childhood I would come upon these guys at family parties, with enormous hands and big guts, and you'd see them getting up from a chair, and it would be like a nine-step process." Despite his gigantic size and villainous role, Ralph is a gentle soul who goes to a support group for evil characters, where he confesses that he no longer wants to be the bad guy. When he makes his escape, he finds himself in a game called Sugar Rush, where he meets the bratty but adorable Vanellope von Schweetz, voiced by Sarah Silverman. Reilly says he specifically wanted to record his dialogue alongside the other voice actors, "and with Sarah and I, it really paid off huge because so much of our relationship is this kind of bickering, big brother-little sister back and forth kind of one-upsmanship," he says. "I think you get a lot when you put people in the same room and they can actually look at each other when they're communicating." 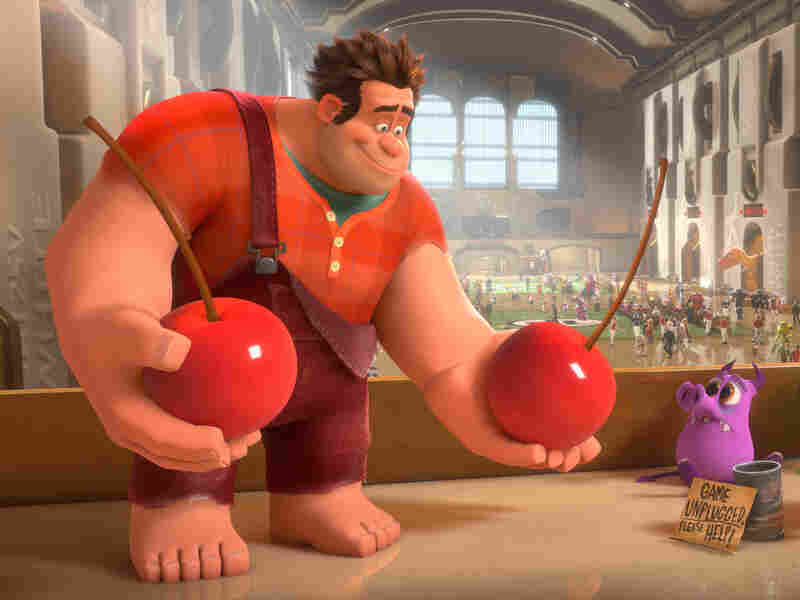 Wreck-It Ralph is a change for Reilly after two very serious recent projects — including We Need to Talk About Kevin, about a high-school mass murder. Reilly says honesty is crucial in creating such a wide range of characters. "If you take a piece of material like We Need to Talk About Kevin and you play it really honestly, then it's heartbreaking and disturbing. ... I just try to be as truthful as I can, and if the circumstances are ridiculous, then you're in a comedy, and if they're more serious, then you're in a drama."